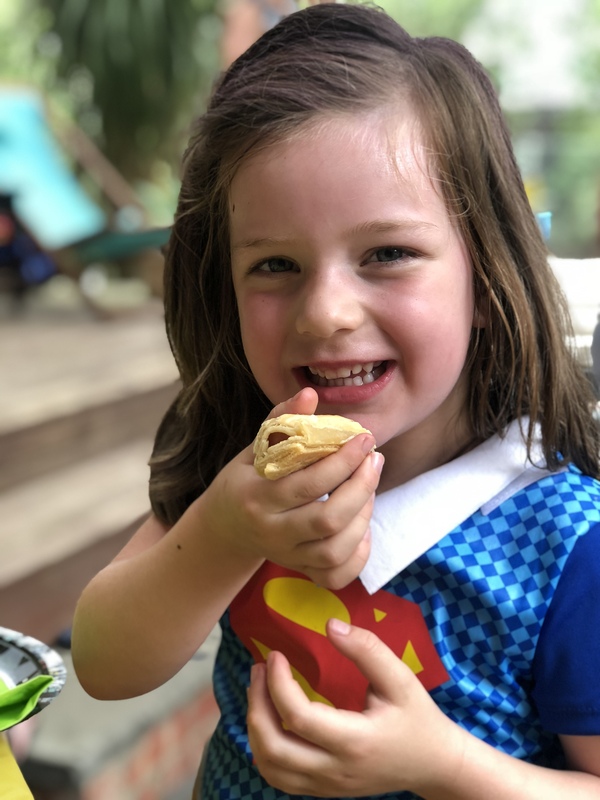 It was a SUPER day for special super girl Penny as she celebrated her 5th Birthday! With a KAPOW! here and a WHAM! 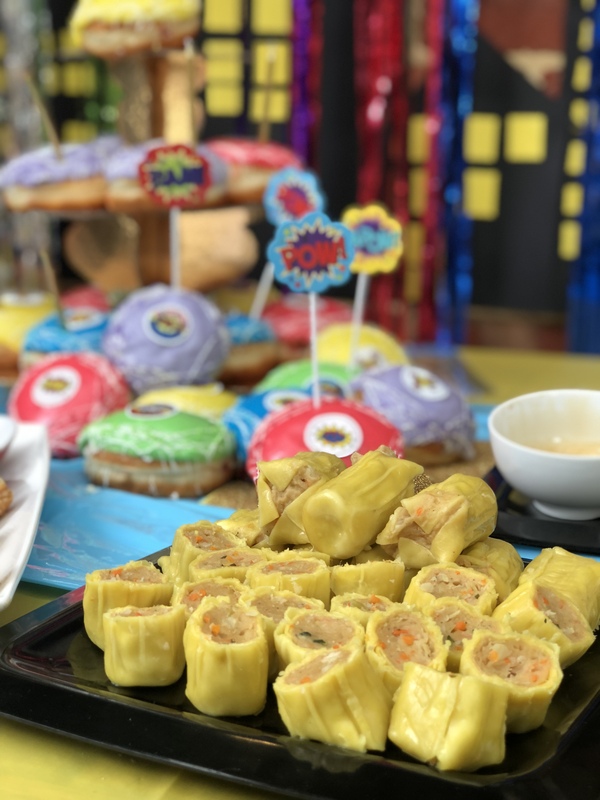 there, we transformed our backyard into a superhero’s headquarters complete with a superhero cardboard city backdrop, superhero jumping castle, superhero donuts and super delicious hot party food thanks to Marathon Foods. 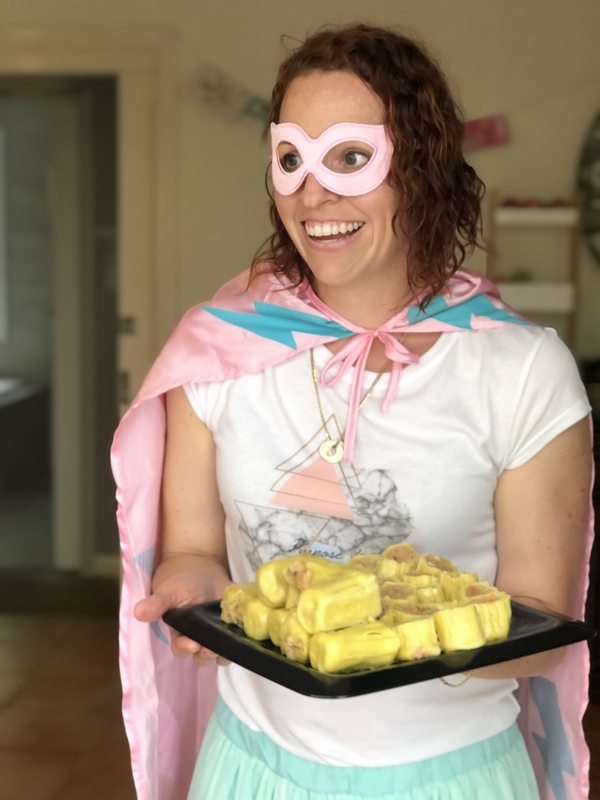 Actually, I felt like a bit of a super Mum myself not having to actually cook anything, just whip out the finger food on the tray, into the oven, steamer or microwave and voila! 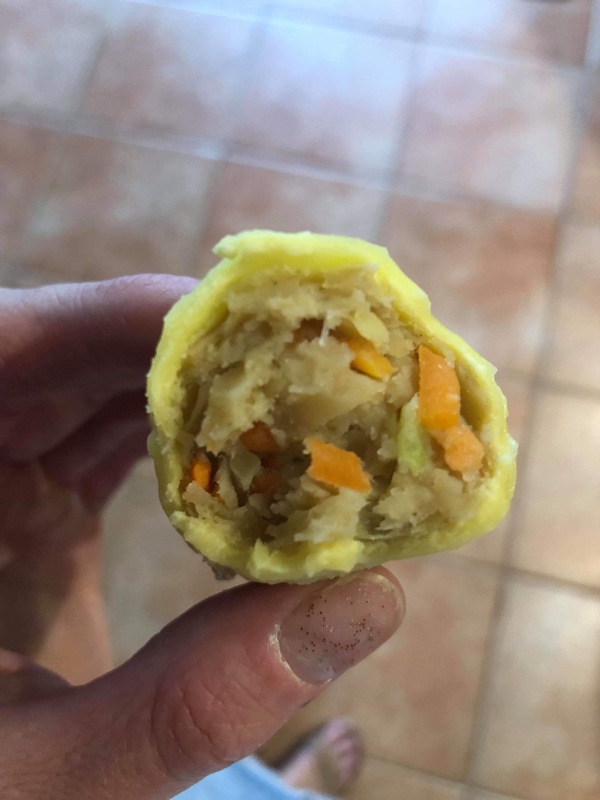 The kids LOVED the yellow ‘Minion Dim Sims’, made with 100% Aussie Chicken, fresh veggies and just the right blend of spice without them being too peppery. 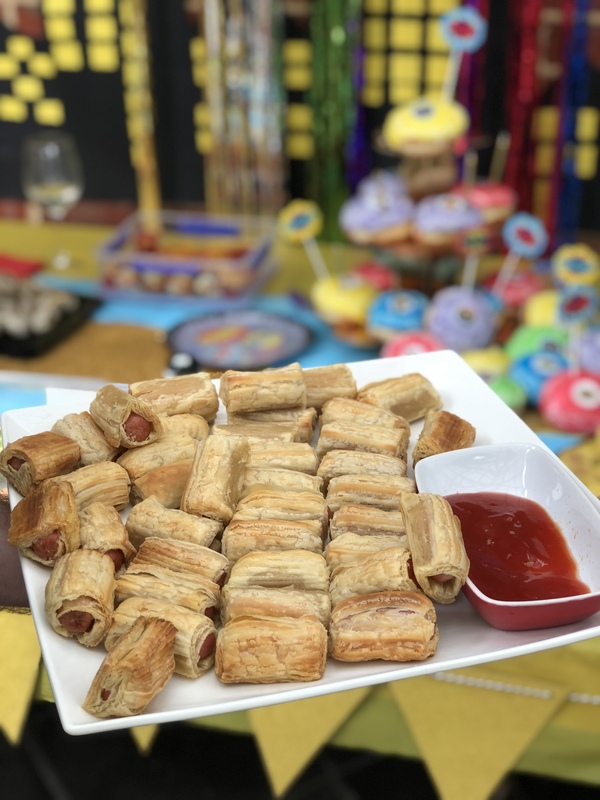 These were a hit with the adults too – so yummy and they loved that you could actually see the ingredients (not like some other dim sims on the market). The veggies are real people, there’s actual real farm fresh local Aussie vegetables in them such as cabbage, carrot and zucchini! Being a bit of a health nut myself, I was pretty chuffed to be able to serve these as a healthy option for party food. 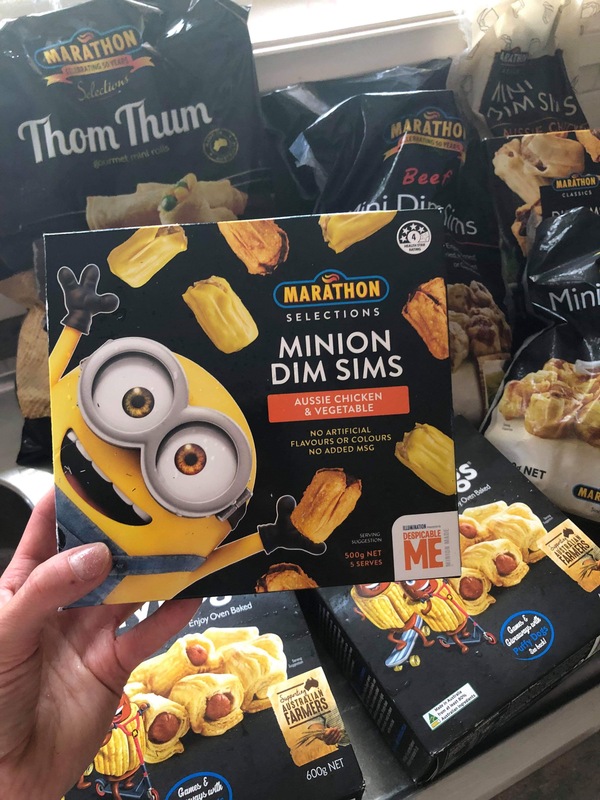 The look on the kids faces were priceless too, when we told them the dim sims were yellow because they were special Minion Dim Sims! They gobbled them up, quick sticks, and came back for more! 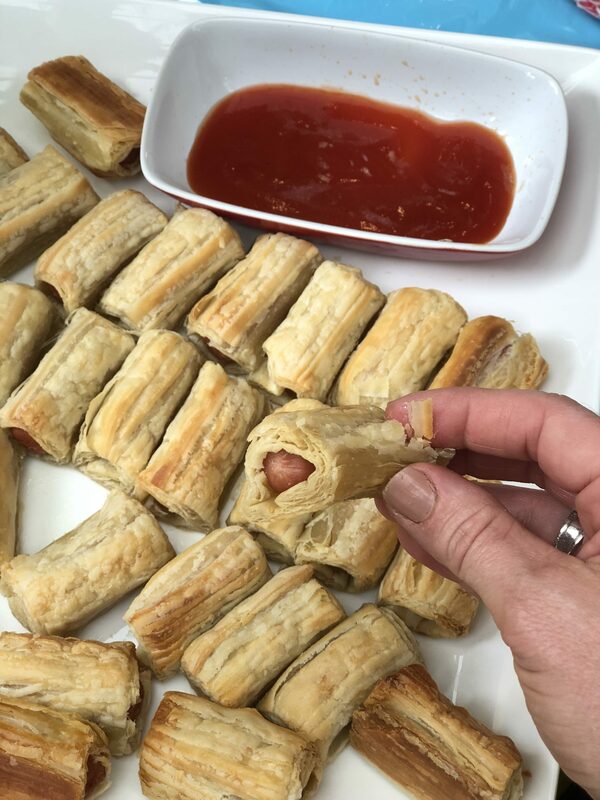 And who could go past a good old Marathon Puffy Dogs with their flakey golden pastry wrapped around a little skinless frankfurt… drooool! So good dipped in tomato sauce, a savory treat for the kids and something a little different to the norm! 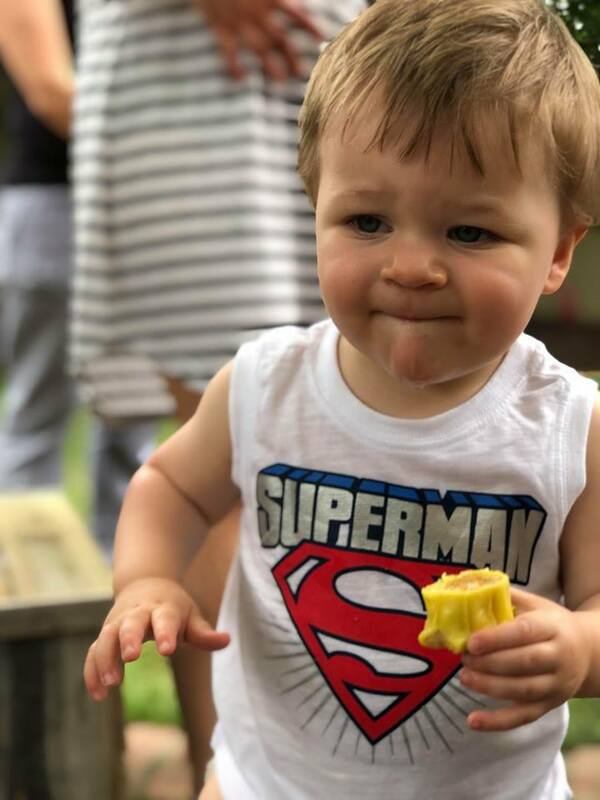 Marathon Thom Thum (veggie filled rolls) and Mini Dim Sims were also hero’s on the day, with our party guests (especially Grandma who was helping in the kitchen who was deservedly taste testing everything before it went out!) saying they were cooked to perfection, not greasy at all, and, I quote, “really bloody yummy”! A little bit of backstory about Marathon Foods quickly too – not only have they been around since 1963 working closely with Aussie Farmers to provide quality fresh ingredients in their recipes, they also have a commitment to the environment adopting a reduce, reuse and recycle policy. Noice work Marathon! Party food with an environmentally friendly conscious! Sponsored Post in partnership with Marathon Foods Australia, all content and imagery is our own.